If you’re a LiveChat Partner with an appetite for growth, you’re in luck: the team behind the Partner Program have released a new API that is A) opening vast new possibilities, and B) open itself. Let’s take a look at what it offers and what you can do with it. As LiveChat Affiliate or a Solution Partner, you can now craft yourself the tools that will help you track and improve your performance. What can you make it do? 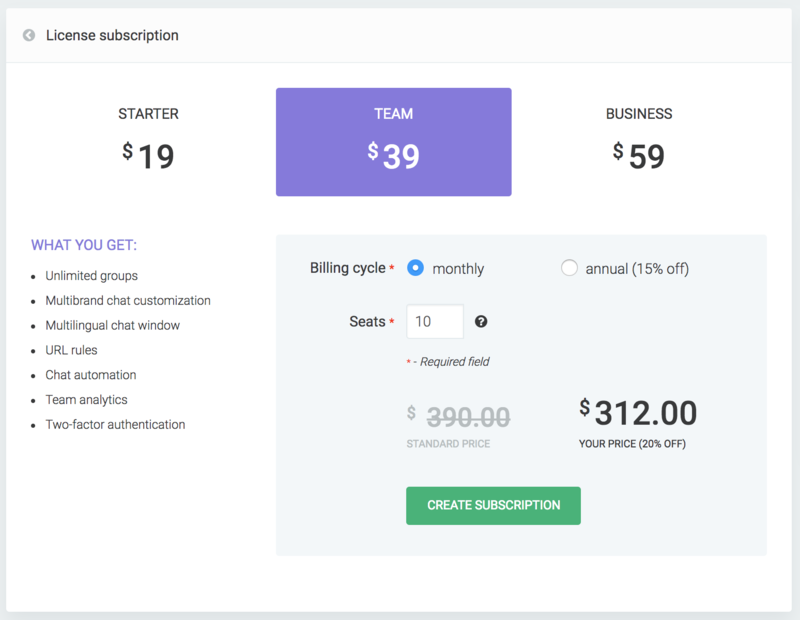 create a subscription for your clients. In order to use Partners API in your own project, you have to be our Partner in the first place. Then, you want to generate API token so you can append it in every request you’re going to make. It’s easy to make money being a LiveChat Partner so getting your earning info may be very important. When you go to Affiliate Partner section in the dashboard, among other details, you can see your total earned commission and a current balance. How you’d get this information in your own tool or application? You can find there a value of balance, commission, and also additional data, e.g. withdrawals which indicates how much money you have already withdrawn. 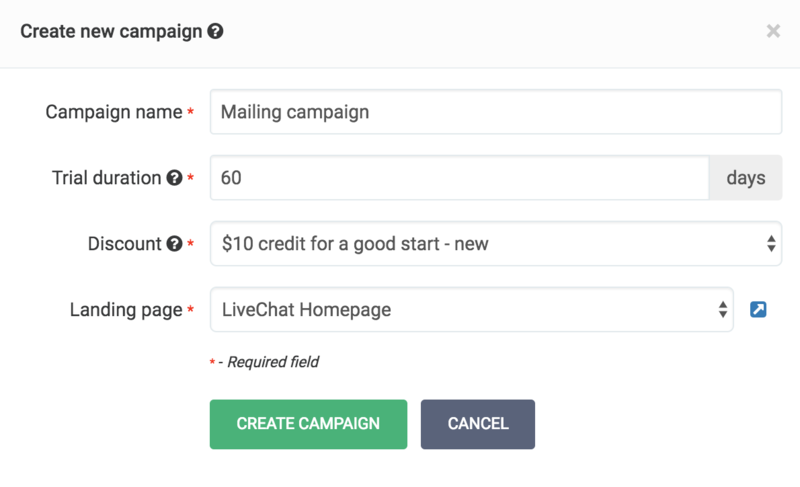 When you share it and someone would click on it and sign up for LiveChat, they would get a 30-day trial - and you’d get 20% lifetime commission once they convert to a paid user - that’s a standard. But you can do better. Campaigns allow you to extend trial duration (up to 60 days) and add a discount for end-user. You can also point user to /signup or to other subpages instead of LiveChat homepage. These three additional options can lay in your affiliate link. You can create a new campaign in Campaigns tab in the dashboard. Do you know you can create a campaign from your own project? "label": "30% off first payment"
url and short_url props contain new links you can share and end-users will get both extended trial period and special discount on the first payment. For security reasons, we don’t store any credit card data on our side at LiveChat. When you have many clients as a Solution Partner, using a dashboard, it could be inconvenient to enter the same CC details every time you want to create a subscription for a client. Here’s how using our API with your tool and database can make this process as automatic as possible. billing_cycle - monthly or annual (annual gets 15% off). country - country code, one of these. Instead of manually entering the values above, you just get it from your source (database, json file, etc). When the request is valid, you’ll receive a response with an id property which is our token we’re going to use in step #3.
token - from step #2. Remember that you can write to partners@livechatinc.com anytime, and with any questions about the API and it’s deployment. We strongly advise checking API documentation where you can find all available endpoints and described required parameters. We’re always happy to help, and you can contact us in the comments section below, or by chatting with us. ← LiveChat Hack&Talk 4th Ed.